Well here we are into a new year of energy. 2012, the year of much change and transition is now becoming a memory of the past as we move into a fresh beginning and awesome new cycle. Let me recap the energies of 2012 as a time where our shadow side, ego personality and past life/this life karmic issues were brought to the surface to be seen and felt by us, so that we could heal, balance and release a good portion of what no longer served our best and highest interest from our Higher Soul Self’s perspective. 2012 was a focus on freedom in every sense of the word. Breaking free of old situations, relationships and belief systems………..and allowing the truth of who we are to come to the forefront of our soul’s reality to be lived in such a way where new directions could be taken and new experiences could be created in our lives. We experienced the end of the Mayan calendar which was about leaving old, 3rd dimensional planetary energies behind and making way for a new paradigm, a new energy to start to become infused onto the planet and her inhabitants. Spectacular waves of Higher Vibrational energy pulsed and continues to pulse our planet, affecting humanity, asking us if we are ready to move into a new way of being and becoming. Are you ready? We now move into 2013……………a new year…………….a new energy. 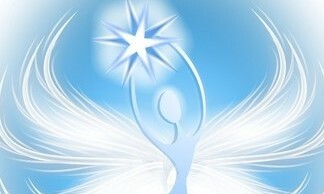 What do the Angels, my Guides and the Universe say regarding this first month of the year 2013? 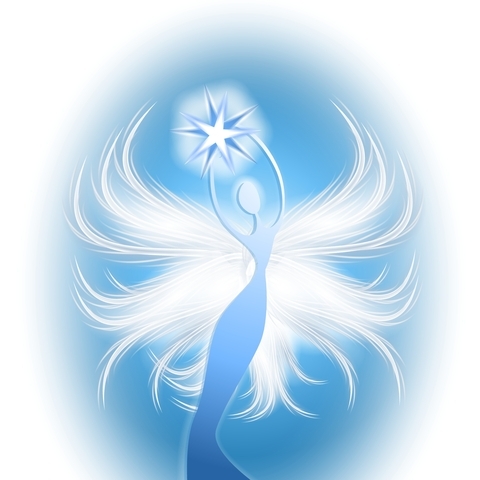 Just to let you all know, I use various methods and tools to divine the messages that come to me……..numerology, astrology, communication with the Archangels and my Guides and tapping into my Higher Soul Self’s guidance and intuition just to name a few. So, to begin, the energy of this year, 2013, is a vibration that will be more focused on home and family. This does not mean just those who are in the same bloodline as you, but all people who you include in your “spiritual family” as well. This year we will see more community between people, more of a sense of cohesion with those who care about one another and feel a sense of responsibility towards one another. This will be a beautiful thing! The new paradigm of energy manifesting and becoming a part of our every day living. The Divine Feminine being brought into balance and taking “Her” rightful place in the new construct of our reality. Yes! As Above, So Below! But, as this is meant to be the monthly forecast for January, we must focus a bit. January is about going inward to re-adjust…pulling back our own energies to fine tune and begin to understand the changes that we have gone through from the last month of 2012. It is a time to contemplate and analyze the energy that has been left behind and to fully realize where we want to go next in our lives. There are some very interesting astrological configurations for this month. These planetary energies are playing out in all of our lives as we are trying to get a foothold on the new directions and new experiences that are being magnetized into our present realities. Readjustments will continue to take place both within us and outside of us in our current circumstances and situations. Try to be open to adopting new ideas and belief systems as the energies of transformation and continued releasing of karmic circumstances takes place. Go with the flow as there may be times where Spirit and the Angels will try to redirect you onto a smoother path that is more in alignment with your Higher Soul Self. Trust your inner intuition and guidance at this time. There is a focus on our goals, our career and Destiny Path now with the first week of January being very supportive for new ideas and actions to take place. A new moon in Capricorn on January 11th supports a new cycle of energy. It will be a time then to plant new seeds or start a new energy direction, especially in regards to our goals or Destiny Path, at that time. The energy will then expand and grow until the full moon in Leo on January 26th bringing a culmination of energies in the areas of creative self-expression and humanitarian efforts and ideals. Also, January 21st-27th is a beneficial time for positive redirections of energy so again, “go with the flow”, let new ideas come in and let the Angels and Universal Energies direct you and guide you to your next step. Lastly, when I asked the Angels for whatever information they had for us for January 2013 this is the message that I received. They said that in those times of quiet contemplation there will occur great soul growth and to listen to your inner guidance as you would be led to those situations, circumstances and people that will bring the next step on your journey. 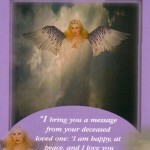 The Angels say that it is imperative to keep your thoughts of a positive vibration because more and more we are creating our new reality so whatever we think about, speak about and dwell on, we will create. They say it is our time to “Empower” ourselves. Take charge of our life, take charge of our thoughts, take charge of our actions and have confidence as we move forward!